Trouble Getting Your Children Reading? in print, why is it so hard to get children reading? Wish Your Kids Would Pick Up a Book Instead of the Wii? Looking for Ideas to Turn Children into Excited Readers? IF YOU ANSWERED YES, KIDS-AND-BOOKS CAN HELP. 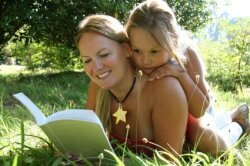 Parents seeking ideas for encouraging a love of reading in their children. Teachers looking for new ideas and educational resources to use in the classroom. Authors and illustrators of children's books (including those who are still unpublished) who are open to sharing their experiences with others. The importance of reading to children can’t be stressed enough. I hope this website helps inspire more people to take seriously their children’s exposure to books, and gives them ideas on how to help get their children reading. I hope it encourages families to consider reading together. I hope it points teachers to new resources for their classrooms. Finally, I hope visitors to this website will find something that brings back good memories from their own childhood . . . and that they’ll be inspired to create new memories for their children and grandchildren. Reading Aloud – Key to Literacy? The importance of children reading is hard to qualify. Most of us probably take it for granted, if we don’t have a learning disability. But even if we do, advanced teaching methods now make reading possible for more people than ever. We help them learn to recognize word patterns in print when they see the words we’re reading. Children learn to read language best when they understand it. The best way to do this is through songs. Fox says that songs and rhythms are a natural extension to the heartbeat of the mother and the act of rocking them. She claims that experts in literacy and child development have discovered that if children know eight nursery rhymes by heart by the time they’re 4 years old, they’re usually excellent readers by the time they’re 8. Children gain knowledge about the world in general, depending on the books we read to them. Jim Trelease – an award-winning artist and journalist for 20 years and author of The Read-Aloud Handbook – says reading aloud to children helps stimulate a child’s imagination, improves their attention span, improves the probability of the child staying in school, and increases their potential for future employment and a higher quality of life. 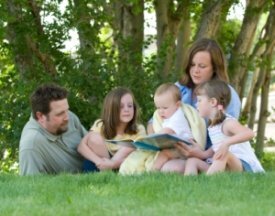 These are only a fraction of the many advantages children gain in life when they’re read to as young children, but aren’t these convincing enough? Over the last few decades, books haven’t really changed much. In topics they cover, yes, but not in format. Picture books are still larger than regular books, filled with bright colors and engaging illustrations. Chapter books are still popular with beginning readers. But these days, books have a lot of competition. Most kids spend several hours each week watching TV and playing video or computer games. Seeing children reading while stretched out on the living room floor doesn't happen as often as it used to. Books provide balance. They force kids to slow down their thinking enough so they can truly ABSORB what they’re reading. Books help children learn to think deeply and be more creative. That’s why reading to children when they’re young really is one of THE most important gifts you can give them! But Trelease points out the importance of continuing to read aloud to children long after they’re able to read. As a result of the national Commission on Reading, created by the U.S. Department of Education in 1983, researchers discovered that it’s not until a student reaches 8th grade that their reading level catches up with their listening level. Until that time, most students are capable of hearing, understanding, and enjoying material far more complicated than what they could read. BOTTOM LINE: Do you want to see your children reading? Better yet, enjoying reading? Then seize every chance you get to share books with them. Are You Considering Writing a Children’s Book? If you want to write a book for children, read through the page on this website dedicated specifically to that topic: Write Children’s Books. Take time to view the pages that cover different genres of children’s books on this site too. Don’t limit yourself to just one area. If fiction is what you want to write, you may want to try your hand at creative non-fiction. If picture books are the only genre that interests you, consider looking at books for slightly older children too. Some aspiring authors discover their “true voice” in a completely different area than the one they started out with. Whether your desire is to get more children reading through books you've written yourself, or by sharing books that OTHERS have written, I wish you luck . . . and lots of fun along the way! Importance of Reading - Getting kids to read is not as simple as it used to be. But the importance of reading hasn’t changed. Neither has the need to read to children. Get tips and help here. Importance of Literacy - The importance of literacy is obvious. Everywhere you look, you see words. Illiterate adults risk becoming isolated from society. Learning to read should be fun. These reading activities and learning games guarantee it WILL be fun! Importance of Education cannot be overstated. Educational books play a vital role in primary and elementary children's education. We recommend these educational books. Children's Classic Literature - See our list of classic literature by age groups: childrens classic literature, middle school literature, high school literature and classic american literature. Chapter Books for Kids - Here's a guide to the wonderful world of Chapter Books. When your child is ready to read beyond picture books and "See Spot," it's time for chapter books for kids. Picture Books are a child's first exposure to the world of reading, literature and literacy. See our list of the best picture books to get your child started off on a great literary journey. Pop-up books have always been popular. Find out what's new in 3D books for kids! Poetry for Kids - Our recommendations for the best children's poetry books and how to get kids involved with poetry. Inspirational Books - When I was a child, I don’t think they made devotionals for kids. The Bible was the only “devotional” book I owned. Now, there many uplifting, spiritual kids' books. Folk Tales, Myths and Legends. Discover famous literature of other cultures and get children reading kids story books that will open their minds to whole new worlds. eBooks for kids are growing in popularity. Here are some great websites to get your own kids reading online. Storytelling is an art form that enhances a child's literary education and imagination. Find out about this ancient art form that is still thriving today. Authors of Childrens Books - Discover the secrets of famous, successful authors of childrens books. Find out how they write and get published their bestsellers. Find your favorite famous authors here. Children's Book Illustrators - A discussion of the great illustrators of childrens books throughout historical and modern day literature. What can aspiring illustrators learn from the professionals? Write Children's Books - Do you want to write children’s books? And not just any books, but books that children will remember for years to come? This website will help you become a published author. Professional Illustrator - Would you like to become a professional children's book illustrator? 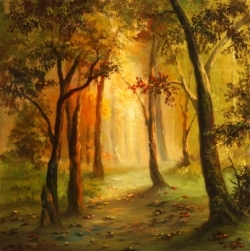 Here are some tips to help you get started marketing your artwork. How to Become a Librarian - Thinking of becoming a librarian? Here is some information on librarian jobs and the info you need to get them. Teaching Kids to Write - Writing ideas, activities and projects for kids. Great resources for parents, teachers and students. How to teach kids to write and love it. All the latest updates on children, reading, literature, books, etc. here at Kids-and-Books.com. Contact Kids-and-Books with your questions or comments. Finding easy chapter books your kids will love isn't always easy. Until they meet Geronimo Stilton!